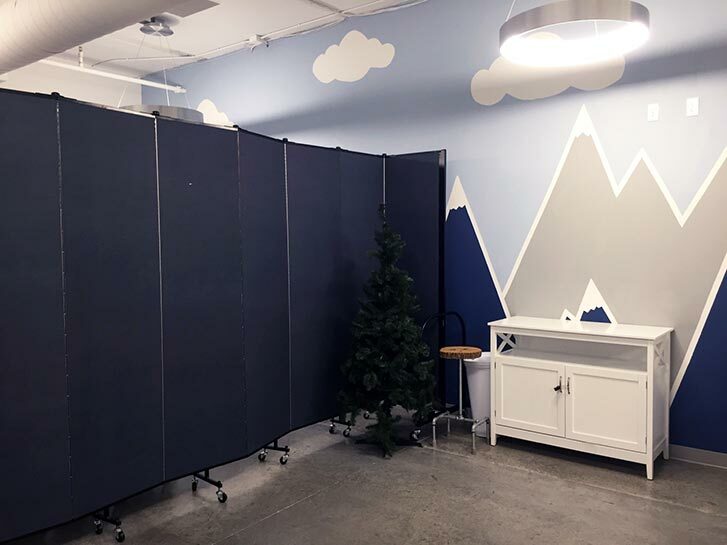 Uses: Church, Religious, Sunday School Colors: Blue Lengths: 9 panel 16'-9" Heights: 7'-4"
One common thread we see with our church customers is the need to create flexible spaces within their facilities. This was the case for the Outside In church in Rapid City. Several months were spent planning the new layout and decorations for the children’s ministry. A large open room was available, but the church needed to serve many classes. 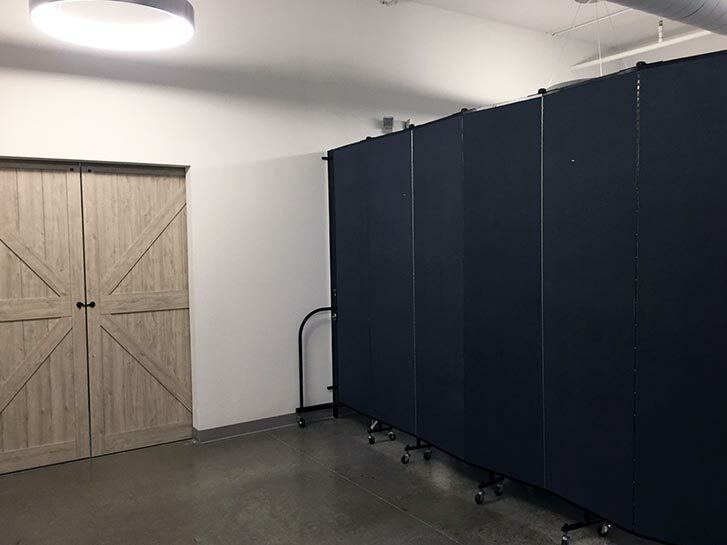 Screenflex church room dividers were a wise and cost-effective solution. Rolling partitions are used to divide the large room into smaller classrooms for the different aged classes. For large group meetings and worship time, the room dividers are closed and stored near the side of the room. 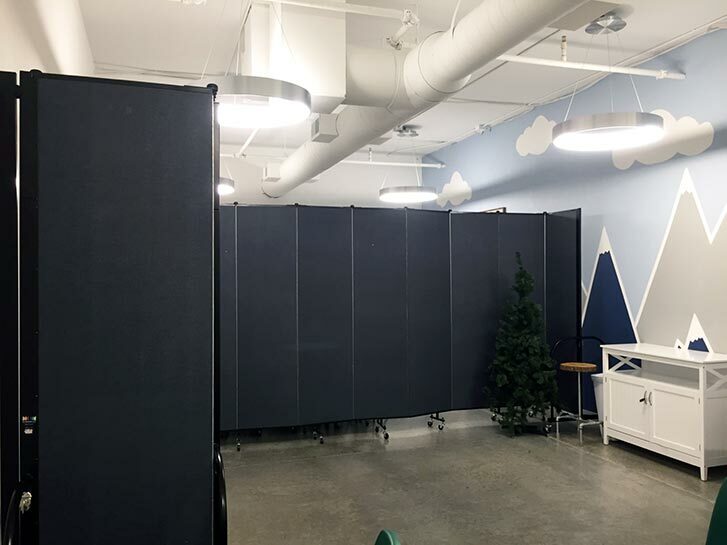 For small group meetings, the accordion room dividers are opened and rolled into position. These sound absorbing dividers provide much-needed privacy and act as a bulletin board to display information.